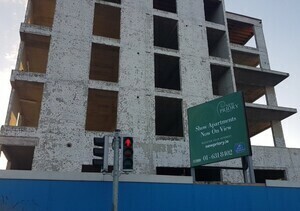 I read with interest the detailed exposé concerning the serious flaws with a large number of residential construction developments dating back to the Celtic Tiger era. It is astonishing that the burden for remedying such defects is falling on the individual apartment owners or tenants. Why was a latent defects insurance policy not arranged for each project? Such cover would have substantially mitigated the financial cost, if not the inconvenience of remedying the damage. Latent defects insurance is a compulsory insurance cover for residential developments in France. Perhaps the Government should also consider enacting the necessary legislation to make it compulsory in Ireland. Posted in Misc and tagged boom-time, structural defects at 12:00 pm on March 5, 2019 by Bodger. but that would go against the interest of developers, and that’s who the irish gov. pander to. to enact such a policy would be in the interest of the public. and all the public are to the gov. are a money influx. they don’t want to know anything more about us. when we pipe up and complain about the conditions they’ve created, they react with scorn. varadkar’s already talked about silencing our strongest means to a voice; social media. because they don’t like to hear our thoughts on matters, or read negative things about how they govern. so they’re hardly going to favour us over who they’ve long favoured above all others; developers. they’ve certainly proved that to be the case through their actions, regardless of how much they may deny it. I personally would not buy a henhouse that was built by a developer in Ireland.When it comes to buying property in Ireland the consumer has no protection,unlike most developed countries in Europe.Ireland is light years behind the UK in such matters. Irish building quality standards are appalling compared to other EU countries. Its all material shortcuts, wall dampness, inadequate insulation for winter and soggy climate, Pyrite, 2nd smallest average room sizes in EU (Britain is worse), cheap ugly designs etc. received compensation from Home Bond the organisation that insures all new scheme building against defects? Certainly, I’ve never heard of any compensation through this scheme. I would have thought that being in the EU made this kind of a law default. Once again your average Irish citizen bears the brunt of our corrupt construction industry. What about consumer protections? Its outrageous. It wouldn’t happen in Germany or Denmark I can tell you. Why aren’t our TD’s going mental over this? Protecting their local electorate? interesting point about not happening in other developed countries, because whenever our gov. try to implement something unpopular like water charges, they ALWAYS say “look, they do it in other developed countries” but they never mention that when it comes to things other countries do that we dont, such as this insurance policy. If insurance was in force when the buildings were built, wouldn’t it cover defects? In other words, couldn’t the residents claim from the insurance policies that were in effect at the time? For instance, on motor insurance, cases are in the courts which could be 3,4,5 years old, and any payments would be paid out on the policies that were in existence at the time of any accidents – the insurance companies would be paying out on policies that were effected at the time of the accident. You are never going to be insured for defects long-term, for perspective in the US if major repairs are required on a complex the owners are billed an assessment based on their % ownership based on sq footage, if you don’t pay the association goes after you legally. This is an inherent risk – not saying it’s right – but not unusual that owners pick up the bill in this situation.